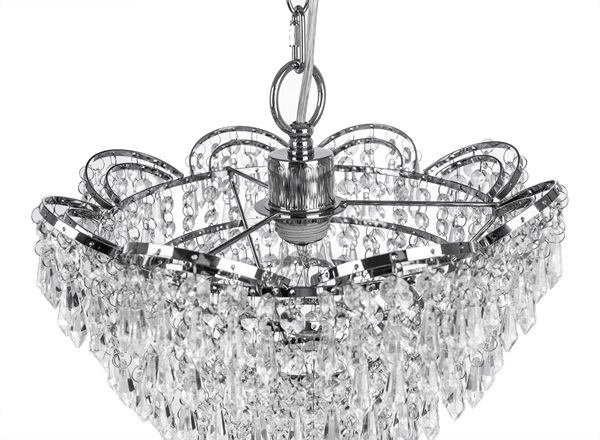 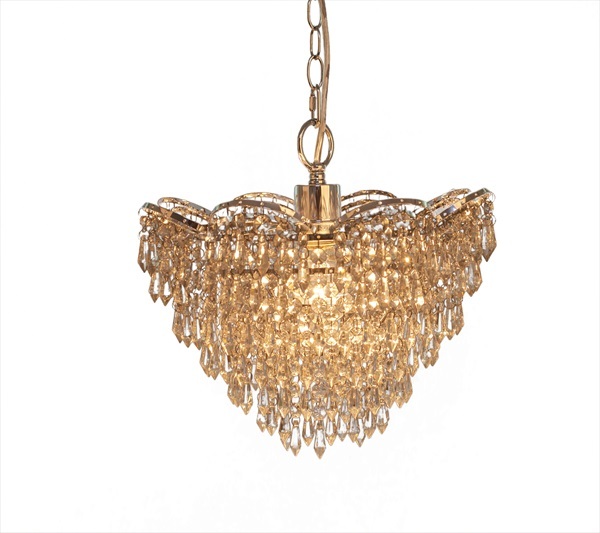 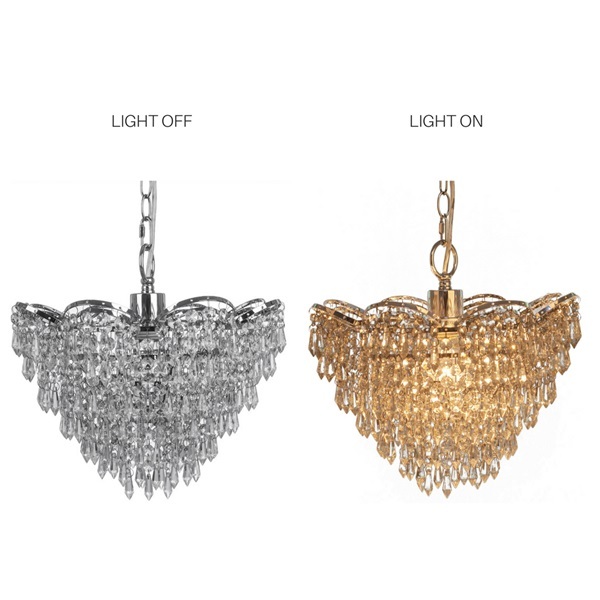 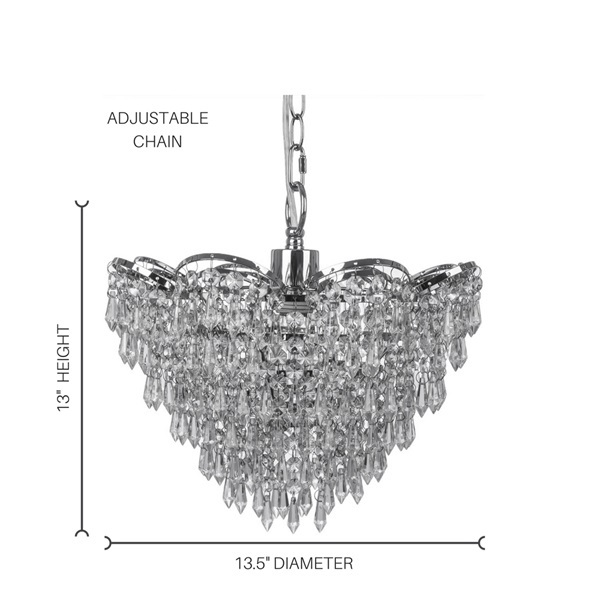 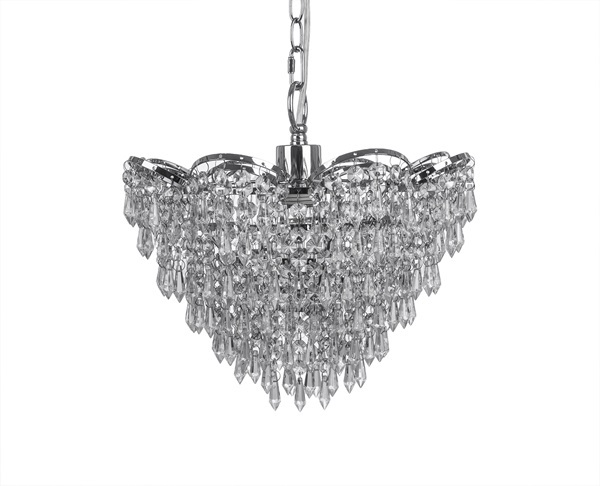 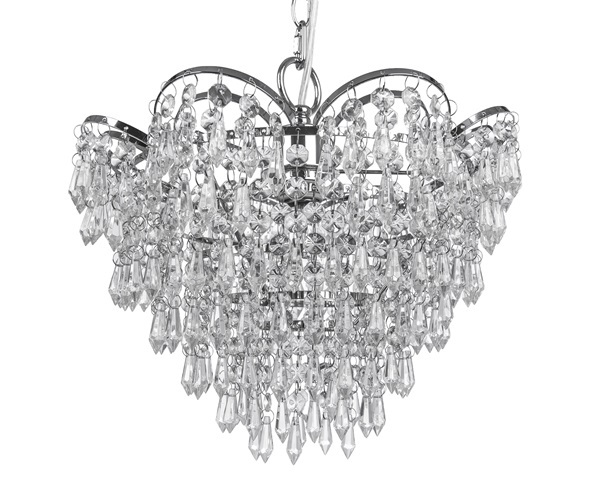 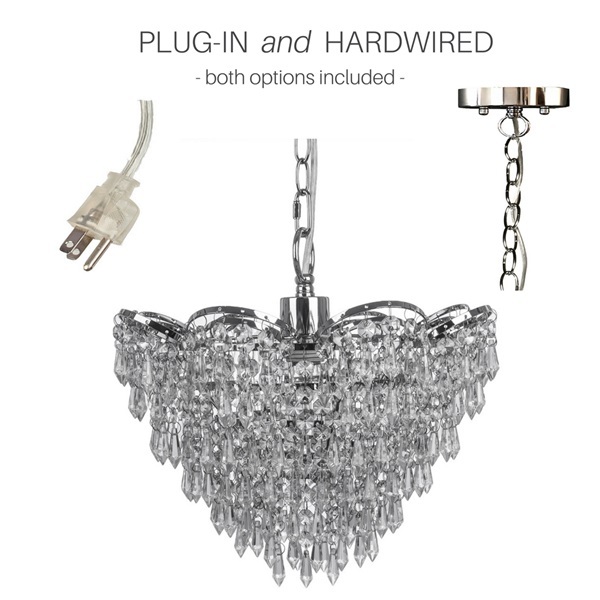 This Cascading Crystal, plug-in and hardwire chandelier is both glam and traditional for your home space. 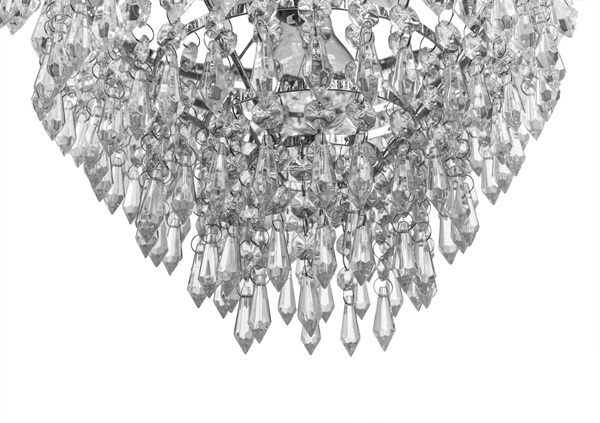 Designed with more than 650 clear faceted glass jewel accents, this is a showstopper. 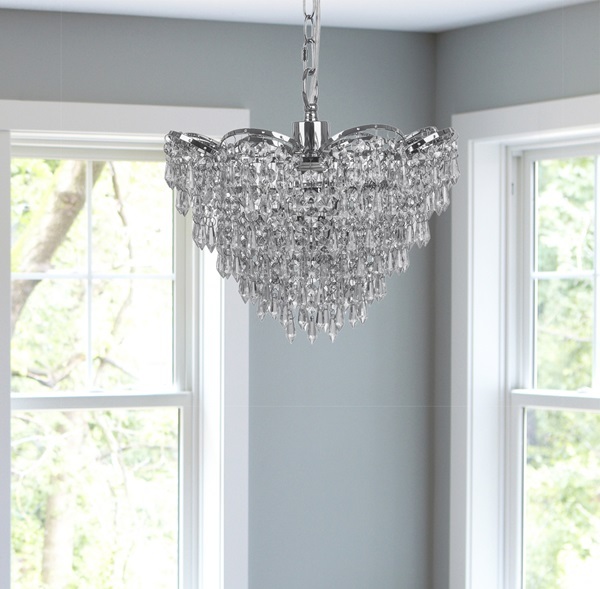 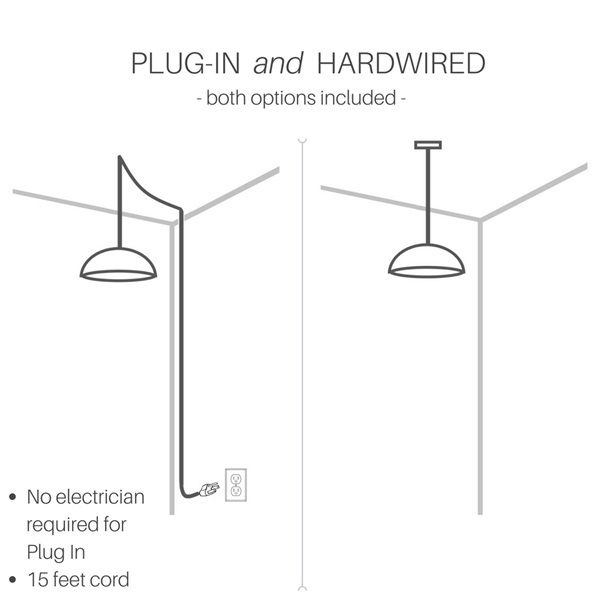 Whether you have a traditional or modern home, this pendant is transitional for many decor styles.